Valentine’s Day is just around the corner…are you ready to make the day special? Sure, flowers and a box of heart-shaped chocolates might be a safe bet, but why not get a little creative for your sweetheart? Show her how much you care with some of our handmade jewelry pieces from chic vintage-inspired to contemporary styles. Sweep her off her feet with some of our graceful beaded necklaces, bracelets and drop earrings crafted to perfection. Make her fall in love with you all over again by presenting her with our long pave arrow necklace. Our Amreen necklace is designed with multi colored druzy beads with a large textured agate pave arrow. Perfect for someone who prefers a timeless, statement look. If she’s drawn to distinctive, bold designs with meticulous attention to detail, this is the one! 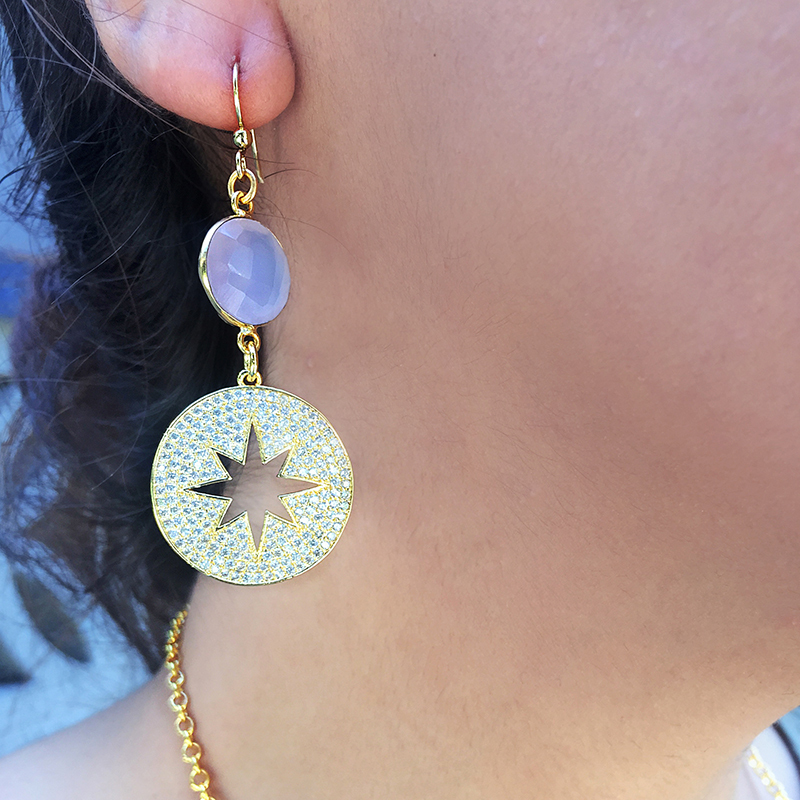 A charming pair of earrings that sparkle, take a look at our round star cut out earrings. Our dainty Clara earrings make a subtle gift for someone who appreciates contemporary jewelry. The rose quartz gemstone adds a touch of elegance to her everyday wardrobe. She can wear out these romantic pink-hued gem earrings on a special occasion or on any normal day. If she’s minimal with her jewelry, a bracelet is a safe choice. 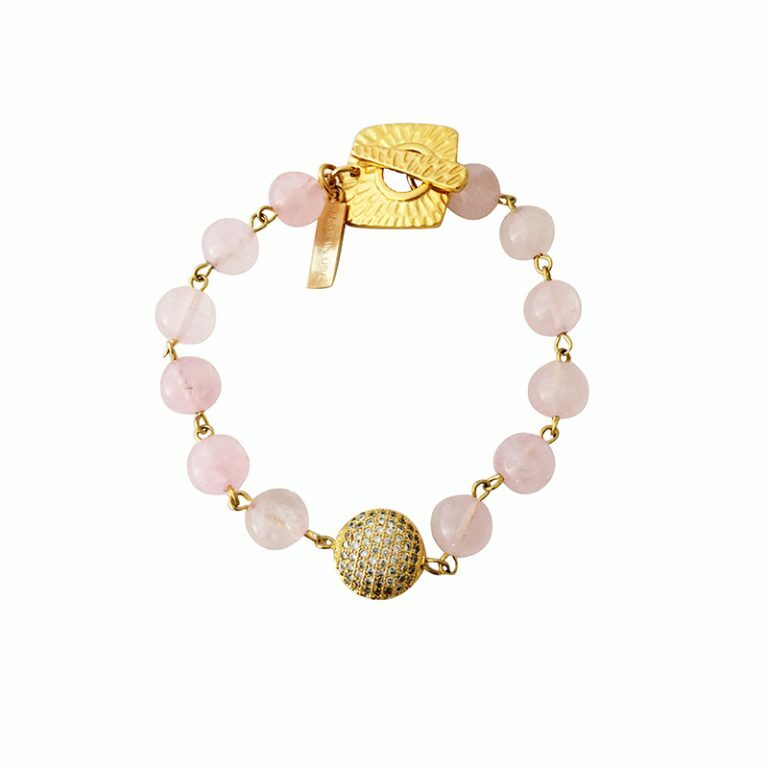 You can’t go wrong with our delicate rose quartz beaded bracelet, the pink hue is perfect for any romantic occasion! Featuring a pave cz bead with textured square toggle adds the perfect touch to any evening outfit. She will love wearing this special piece for many years to come. Take pick from our best-selling pieces for a touch of sparkle that your honey will be sure to love wearing!